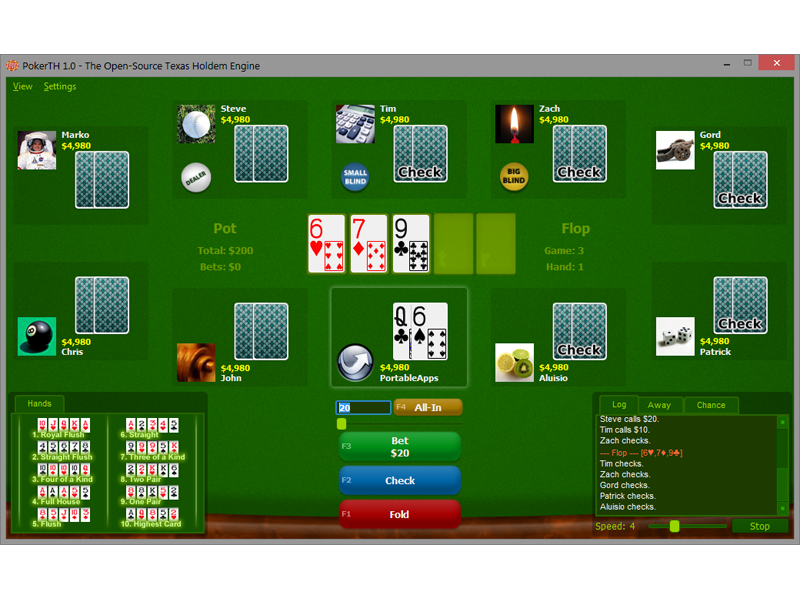 PokerTH Portable is a classic Texas Hold Em style poker game. With support for up to 10 networked or computer players, custom avatars, custom cards, online chat, sound and an easy-to-use graphical interface, it's sure to provide hours of fun play. 322 497 PokerTH Team & PortableApps.com <img src="https://www.oldergeeks.com/downloads/gallery/thumbs/PokerTHPortable1_th.png"border="0"> Nov 26, 2018 - 12:24 1.1.2 24.31MB EXE , out of 1 Votes.